Mats Bigert (b. 1965) and Lars Bergström (b. 1962) met at the Royal Academy of Fine Arts in Stockholm in the 1980s. Together they have made many public works of art, performative works and films. After 30 years of creative collaboration, their climate-related works are highly relevant today. Opening remarks by Emily Boyd, director of Lund University Centre for Sustainability (LUCSUS). Bigert & Bergström also at Dunkers! 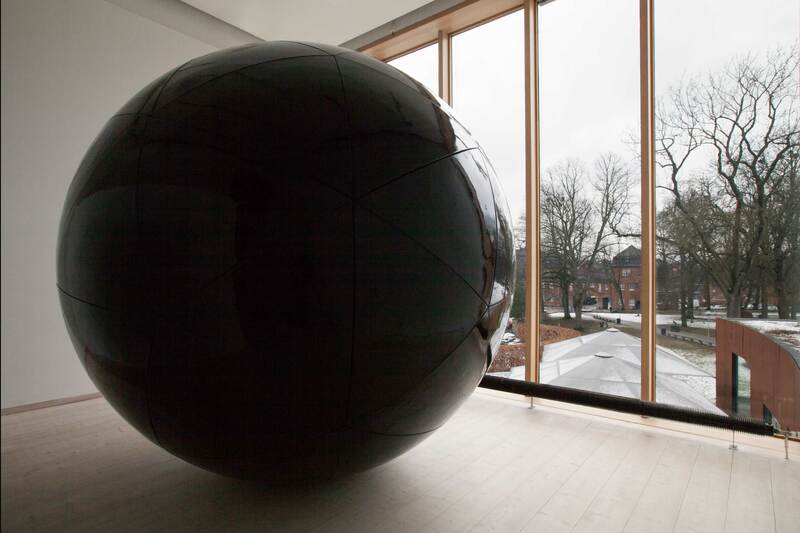 On 4 May to 20 October 2018, the exhibition The Climate Experiment by Bigert & Bergström will be displayed at Dunkers Kulturhus in Helsingborg. Save your ticket from Dunkers and pay 50 SEK (reg. 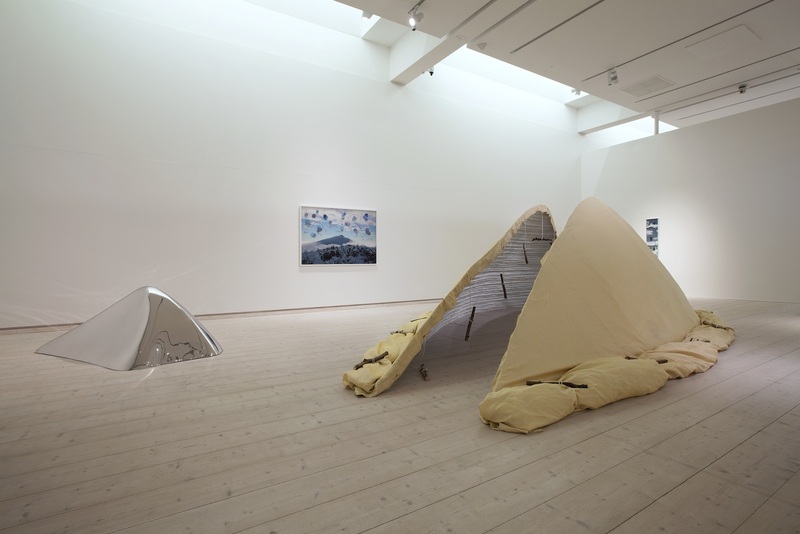 price 80 SEK/60 SEK) to Bigert & Bergström´s exhibition The Weather War at Skissernas Museum. The discount also applies in reverse - 50 SEK in entrance fee at Dunkers if you show the ticket from Skissernas Museum. The discount also applies if you have Kulturkortet, Skissernas Museums annual membership or a valid student id. Bigert & Bergström, "The Problem", 2012. Installation at Skissernas Museum. 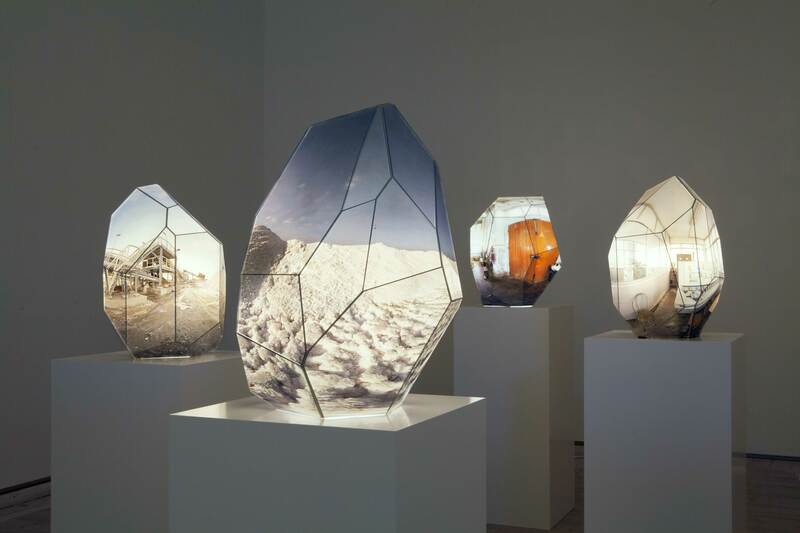 Bigert & Bergström, "Salt Pan Crystals", 2013. Installation at Skissernas Museum. 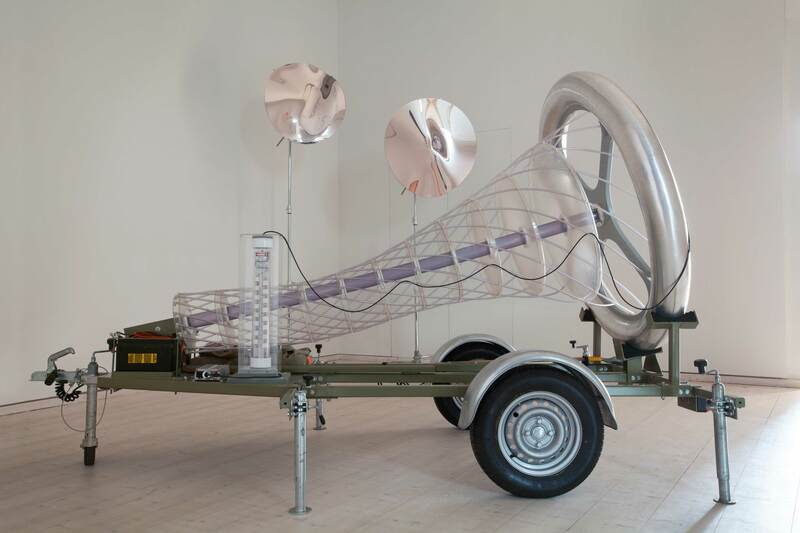 Bigert & Bergström, "Tornado Converter", 2012. Installation at Skissernas Museum.